Bulgaria is a strategic destination. In just a 3 hour flight from all major destinations in Europe, Russia and the Mediterranean region. It is a bridge between Europe and Asia. The country has a stable political environment, a member of NATO and the European Union. 5% withholding tax on dividends and liquidation quotas (0% for EU companies). Educated and skilled workforce is one of the main advantages for business to invest in Bulgaria. Yearly over 60,000 students from over 50 universities has been graduated. Government supports various sectors, according to the Law on Investment Promotion in Bulgaria. Bulgaria offers the lowest operating costs in Europe and free movement of capital. The overall development of the country offers a combination of natural and cultural values that it holds. On its territory you will find a mix of Thracian and Roman historical and archaeological sites. This cultural heritage is combined with unique natural resources of the country. Bulgaria is a popular holiday destination except as a country offering excellent opportunities for winter sports. The best ski resorts in Bulgaria are Bansko, Pamporovo, Borovets and Vitosha. They all offer the best conditions for winter sports with modern technical services. Black Sea coast of Bulgaria has a 354 km long coastline. Plovdiv and his region is another good reason to invest in Bulgaria because it is located in the central part of Southern Bulgaria. The region is covering 5972.9 square kilometers, which is about 5.4% of the country area and covers 215 cities and villages: there are 17 cities that make up the largest part of the area. Plovdiv is the second most populated city in Bulgaria. Over 51% of the region is concentrated in the production of 70 000 workers. Trakia Economic Zone has emerged as one of the largest investment projects in Bulgaria. All these factors and the relatively short flights from other European countries gives to Bulgaria the role of one of the most attractive destinations for smart investors. Bulgaria’s economics is highly open market. It takes the position of 70th country in the world in 2011 according to external evaluations. It is relatively industrialized, with an average developed private sector and reserved a small number of strategic state enterprises. By level of economic development today Bulgaria has fallen into the group of developing countries after Syria and before Tunis. Bulgaria is a member of the European Union fulfilled all the conditions for a candidate member of Schengen. The country is the 40th out of 152 countries in the world ranking “Economic Freedom of the World: 2014 Annual Report”, prepared by the Canadian Institute “Frasier” . Gross domestic product is 92 228 and 160 in GDP growth world for 2011. 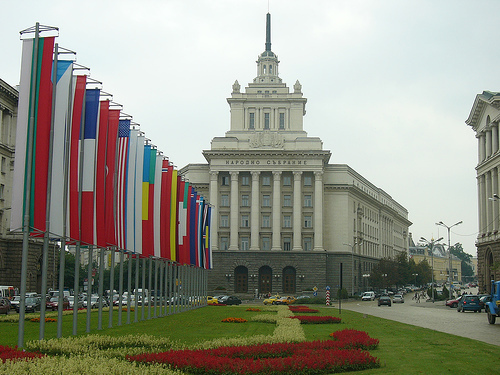 Bulgaria meet the criteria and is expected to join the Eurozone at the latest by 2013. The crisis in the euro area actually declined Bulgarian government of such a step. The Bulgarian lev is freely convertible and in 1997 it was fixed at 1: 1 ratio to the German mark, and since its introduction – to the euro with a ratio of 0.511 euros per lev.